STUDENTS IN NUI Galway and Galway-Mayo Institute of Technology (GMIT) have heavily criticised residents and councillors in Newcastle and Dangan for campaigning against a 400-bed student development. GMIT Students’ Union president Mark O’Brien described the opposition to the housing development as a “classic example of not in my backyard” view and a “discriminatory blockade” against students. The Westwood Hotel in Newcastle was sold to a UK-based student accommodation company called Ziggurat in February. The developer plans to replace the hotel with a 400-bed housing block for students. 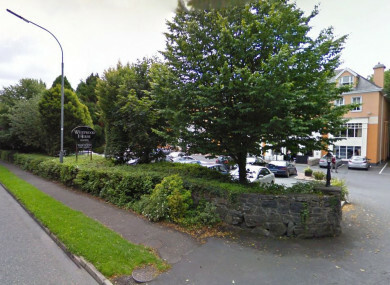 A residents’ meeting entitled ‘Save the Westwood Hotel Campaign’ was held in July, where 200 locals unanimously agreed that they were opposed to the construction of student accommodation on the site. Local Fianna Fáil councillor Ollie Crowe was in attendance at the meeting. Like local residents, he opposes the plans. Crowe told TheJournal.ie that with the NUIG campus close to the neighbourhood, the area is already highly populated by students. “They’re saying its student apartments but I believe that it’s an over-intensification of the site. It’s not a huge site by any means,” Crowe told TheJournal.ie. “The students are a vital part of the vibrancy and a vital part of life in the city of Galway. We have in excess of 25,000 students. It’s an aging population in the area and my believe is the residents who have lived here for 30 or 40 years have to be respected as well. However, O’Brien suggested today that the number of beds being made available will alleviate the pressure from the students in GMIT and NUIG “scrambling for somewhere to sleep”. NUIG students’ union president Lorcán Ó Maoileannaigh said that the development could have “a great potential for regeneration, civic activities and engagement”. The Union of Students in Ireland said in a statement that it was concerned that small groups of residents could prevent student accommodation being constructed in local areas and that it could be “damaging of stereotypes of students”. Email “'A discriminatory blockade': Galway students criticise locals for campaigning against a new housing development”. Feedback on “'A discriminatory blockade': Galway students criticise locals for campaigning against a new housing development”.